MASS Engines Empowers Intel's Marketing Automation Efforts. Intel was using Eloqua for marketing automation, but the system and related processes had limitations. MASS Engines discovered that the Eloqua implementation was a rollover from a previous system that was used for basic email blasts. It was not set up to support sophisticated business-to-business campaigns and nurturing. The problems ranged from inability to track and report on campaign ROI to a lack of understanding of the roles and responsibilities of different marketing groups. There were also fundamental flaws in the Eloqua implementation and how it was being used. In addition, there were serious issues with data collection and subscription management. Eloqua was only being used for batch and blast. It was not set up to support structured nurture aligned with buyers’ journeys. Data was collected through forms that were one-offs. Overall, the systems were not architected in a way that aligned with the business or set up to meet outcome goals. In addition the team structure needed to be adjusted, including creating a robust marketing operations team. MASS Engines developed a marketing automation roadmap to provide structure and a day-to-day guide for what needed to be done to reach the vision. The roadmap provided guidance on how marketing automation should be operationalized to meet both strategic and tactical objectives. MASS Engines broke the entire process down into 20 stackable categories that were connected by capabilities and outcomes. Each category detailed the people involved, process needed to coordinate set up and execution efforts, as well as the technology required to make it all work together. Following business use cases, MASS Engines re-architected the Eloqua data model and established best practices for usage and maintenance as well as legal compliance. The model also took into consideration the users and how they needed to work with the data. MASS Engines demonstrated what the ideal Eloqua data model should look like, and guided the team to make the necessary modifications. The new model made it possible to track, analyze and report all subscription information and visitors’ interests. MASS Engines completely gutted how subscriptions were managed. It established protocols about who can legally be contacted, and with what information. Processes and documentation were created to provide direction for how to talk to customers and prospects. MASS Engines also created a centralized subscription management function that acted as a preference center where users can select what content topics they were interested in learning about. The new subscription center was built in Eloqua, so that rules could be automated and managed, and all activity could be tracked, analyzed and reported. According to Intel, MASS Engines looks at marketing automation as a strategic marketing capability that must be optimally tuned to fit into an organization to support business objectives. 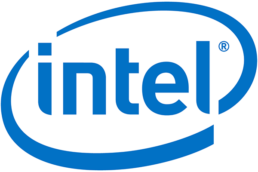 This helped Intel develop and operationalize a marketing automation roadmap that successfully addressed the critical areas of data architecture and subscription management as well as the overhaul of Eloqua. MASS Engines enabled the new Marketing Operations Team to handle the day-to-day tactical work, and continues to work with Intel to manage the rollout of outstanding items on the marketing automation roadmap. MASS Engines is focused on delivering strategic components, including requirements definition, design and execution oversight to ensure alignment with the vision and goals. Intel, the world leader in silicon innovation, develops technologies, products and initiatives to continually advance how people work and live. Its global team, over 107,000 strong across 58 countries, is a powerhouse of engineering and technological excellence that empowers solutions to the world’s toughest problems while creating the technology of tomorrow.